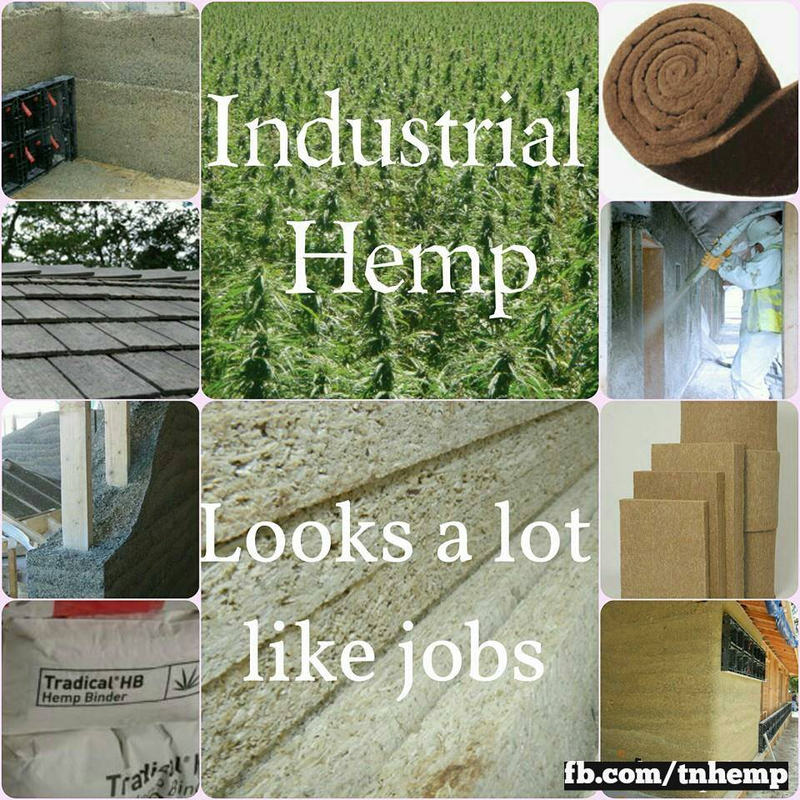 Industrial Hemp Making a Comeback in TN? Let’s Hope So! There is currently a lot of talk and even some promising action surrounding the issue of re-legalizing the cultivation of industrial cannabis hemp. The 2014 Farm Bill was approved in the Federal House of Representatives finally last month with a crucial amendment that focuses on the rescheduling of industrial cannabis hemp. More specifically, the US Senate’s “Industrial Hemp Farming Act of 2013” would appropriately differentiate the non-psychoactive cannabis hemp from another variety of the plant currently placed under schedule I drug prohibition. The amendment to the 2014 Farm Bill “allows institutions of higher education to grow or cultivate industrial hemp for the purpose of agricultural or academic research.” The volition of the State’s will decide whether or not to allow hemp to be cultivated. This is an incredible advance in the outmoded, if ever valid, prohibition of a vital crop which has been predicted to offer to meet and exceed the nations fiber and nutritional needs. Perhaps the US can once again become a major exporter–or at least begin to provide more for itself without ravaging the land. Cannabis hemp may be a superior feedstock for bio-fuels, plastics, building materials, insulation, and a host of other products that currently are derived from unsustainable fossil fuel consumption. The impressive scale of this reality may hold promise to an end in the need to cut down one more single tree for paper. 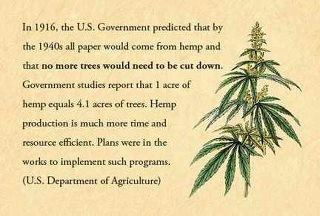 Hemp is a crop that can offer a profitable and sustainable mode of agriculture to the landscape in Tennessee. Proponents of forestry and agriculture alike will surely recognize this as an epic turning point in our history—one which will likely be venerated by future generations. 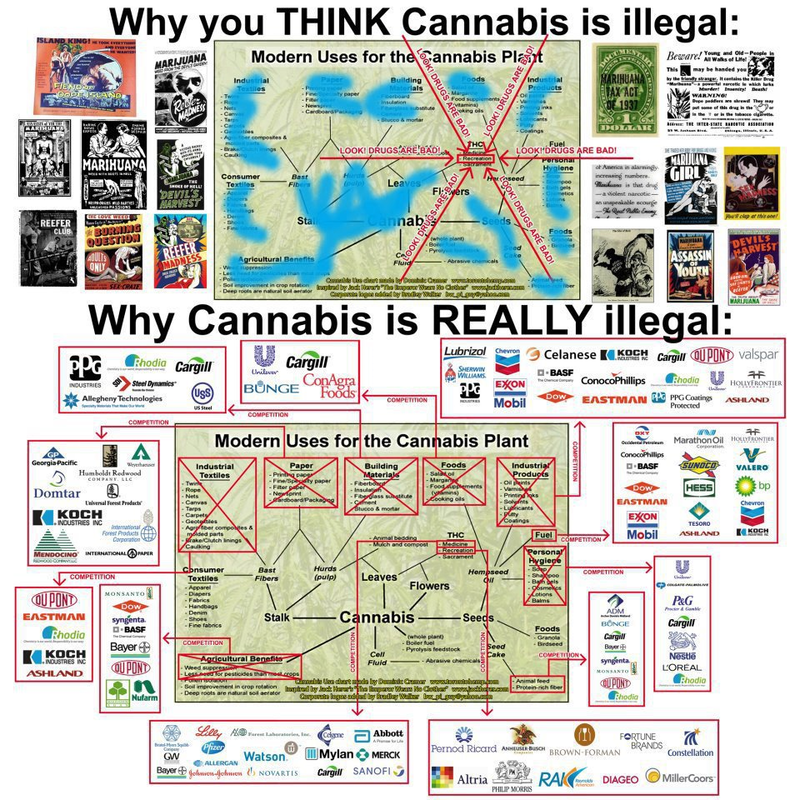 It is likely that the prohibition of the plant was tied to political and industrial interests which sought to remove competition from the vital and versatile agricultural crop to make way for other products in the capitalistic pursuit of profits. The controversy surrounding genetically modified crops, the need for bioremediation, the plague of petrochemical pollution, and the viability of agriculture and manufacturing for Americans are all benefits for our failing economy. One does not have to do too much digging to research on the Web to read about the history, many uses, and benefits of this crop that has been a part of humankind at least since agriculture itself was developed. So we all know that America’s bee population is declining at an alarming rate. According to the USDA Agriculture Research Service, the total number of managed honey bee colonies has gone from 5 million in the 1940s to half of that today. 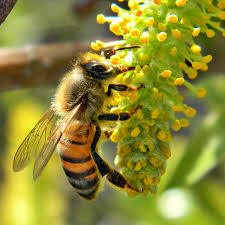 “At the same time, the call for hives to provide pollination services has continued to increase. 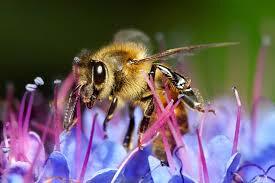 This means honey bee colonies are being transported over longer distances than ever before,” (ARS). There are many possible reasons for this decline, but it seems that a clear answer has yet to be found. Some of the possibilities scientists are looking at are pathogens, such as Nosema, described morbidly as “pathogen gut fungi,” and Israeli Acute Paralysis Virus (ARS). Other possible causes are management and environmental stressors, including lack of diversity of plant nectar, being shipped all over the place, and not enough access to clean water in the wild. One, some, or all of these factors have most likely caused this decline, otherwise known as Colony Collapse Disorder, or CCD for short, (ARS). As caretakers of the earth, we want to prevent this from continuing. The organic approach to agriculture, in my opinion, would help slow this tragic loss. We depend on bees for pollination and without them we would be in a bad state, let me tell you. According to the ARS, “About one mouthful in three in our diet directly or indirectly benefits from honey bee pollination.” They contribute billions to our country’s agricultural production annually! I, personally, was surprised that some of the approved practices for organic farming could be part of the cause of CCD! I’m beginning to become aware of the fact that there are two groups of organic growers. There’s the group the truly cares for the environment and then there’s the group that is just trying to capitalize on the new up-and-coming organic food trend. Then again, I know there are others out there like me who had no idea that even organic methods can be bad for bees, as well as countless other insects, however I really see my future farming adhering to Sir Albert Howard’s strict definition of what organic means. “The system (or growing production) ‘having a complex but necessary interrelationship of parts, similar to that in living things’,” (Heckman). The earth is made of a myriad of complex systems, each relying on the other to do what it does best. When one part of the large-scale system is damaged or suffering, it effects all the others in one way or another, so farming in a way that’s closest to being natural is always best, and be sure to read up on any substances you’re thinking of using! Another practice that can help keep the bee population safe is conservative biological control, which basically means creating a bee and beneficial insect-friendly habitat in your yard, garden, or around the farm. Bees love lots of brightly-colored and sweet-smelling flowers! Crop diversity in general is good, not only for insects, but for our plant species as well! The concept of introducing beneficial insects is definitely better than using a chemical pesticide, but the Xerxes Society says this can be detrimental to bees due to the fact that some of these non-native insects think bees are tasty, too. Also, low/conservation tillage and avoiding the use of plastic mulch helps as well, as 70% of America’s bee species nest underground. 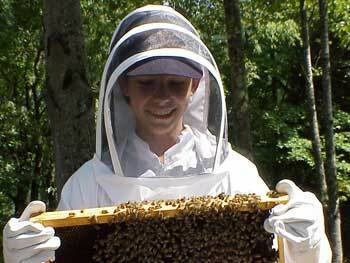 One other thing you can do to help the honey bee population is to start a hive or two or your own! The University of Tennessee offers the BeeMaster Program, a program that teaches beginners all the things you need to know to be successful. This spring it will be held on the UT Ag campus, as well as several other locations. I’ll post that link and the link for the Tennessee Beekeepers’ Association below if you are interested! Heckman, J. “A History of Organic Farming: Transitions from Sir Albert Howard’s War in the Soil to USDA National Organic Program.” Aug. 20, 2005.